India has recently become the fastest growing economy in the world. Between 2011 to 2015, India’s export amount has risen by over 44 percent. As of 2014, the country’s total export stood at over 318 billion dollars. 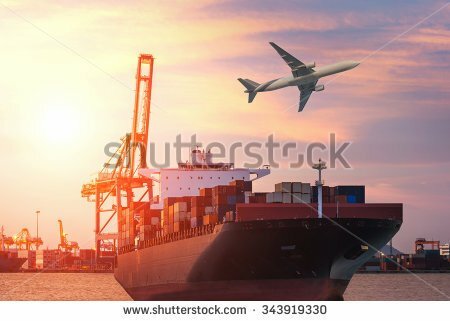 Oil-based products and crude oil giants such as Hindustan Petroleum Corporation Limited, Bharat Petroleum, Reliance Petroleum, ONGC, etc have contributed greatly to the export sector of India. In spite of the fact that the country is largely dependent on oil imports, export of oil-based products has supported the economy to a great extent. India is known to consume around 20 percent of the global production of gold, as well as, 75 percent of that amount goes into jewellery making industry. The jewellery sector is greatly supported by banks and government policies so that this labour intensive industry does not fall drastically. Around 30 percent of Indian jewellery production gets exported to the USA alone. Other such countries, which imports Indian jewellery include Hong Kong, UAE, Singapore, Belgium, etc. Between 2008 to 2013, the Indian automobile export sector has risen by 17 percent. It is literally one of the fastest economic growth that has happened in the sector. Being one of the leading steel producers in the world, India can afford to invest huge amount on the automobile sector and its export. There has been a drastic 10.5 percent increase in the export of heavy machinery from India. These export items include cars, pumps, heavy machines, building construction tools, agricultural equipment, etc. Textile is literally India’s trump card when it comes to exports. India undeniably tops the chart in jute production and also holds about 63 percent of the global market share in textiles and garments. Some of the top jute bags manufacturers, exporters, as well as, suppliers can be found in this country. When it comes to manufacturing electronic equipment, India is still seen as an importing country. But, the export of this sector is thriving silently yet enormously. The Make In India initiative by the central government has given an enormous boost to this sector. India can boost of having the third largest pool of electronic scientists and engineers. The domestic demand of electronic goods propels the industry to grow faster and stronger.